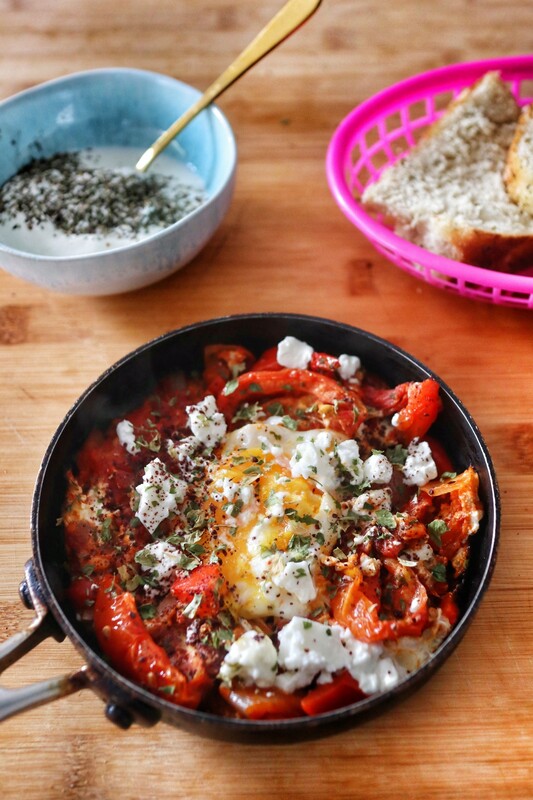 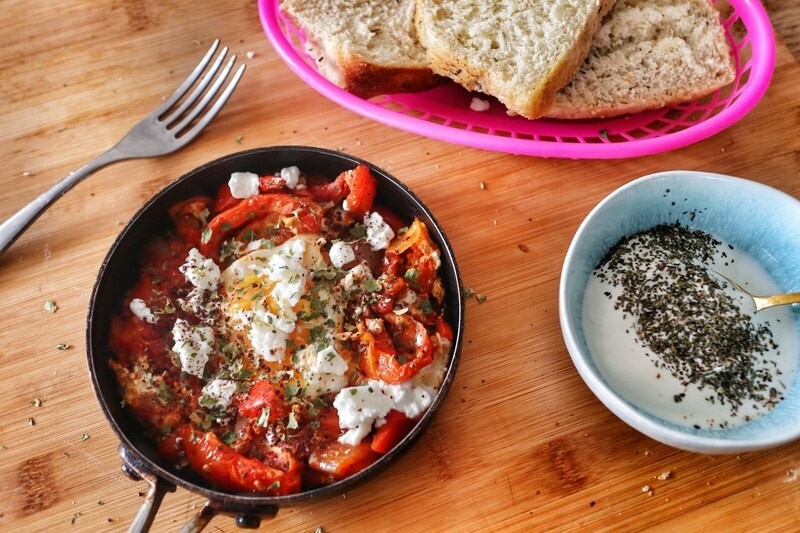 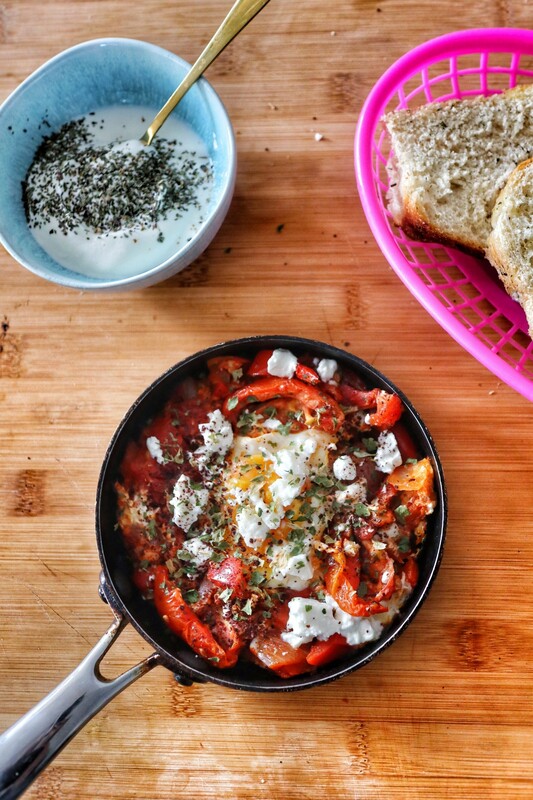 Middle Eastern inspired shakshouka with tomatoes, red peppers, onion and feta! 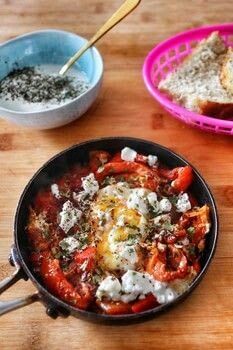 I tried shakshouka for brunch the other morning and thought it was so delicious that I had to try making some myself. 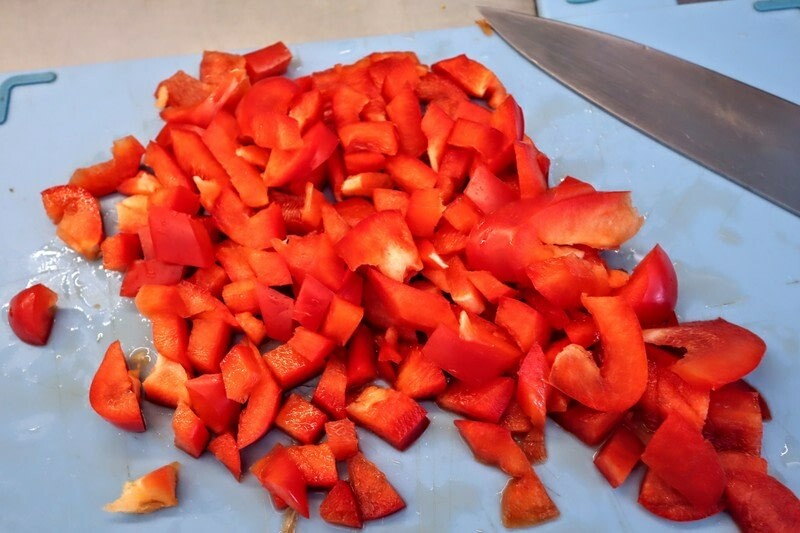 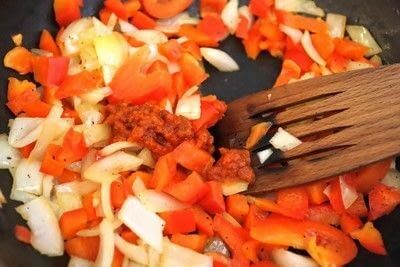 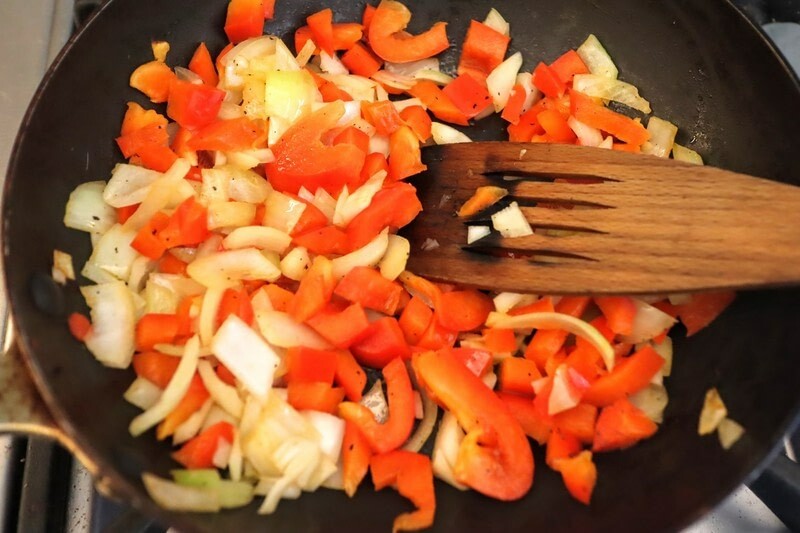 Start by chopping the pepper, onion and garlic. 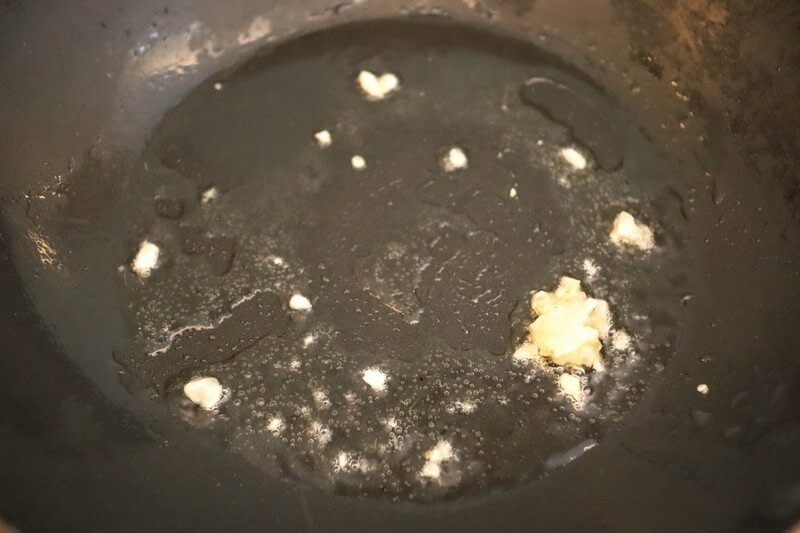 Heat the garlic in a frying pan with a little vegetable oil. 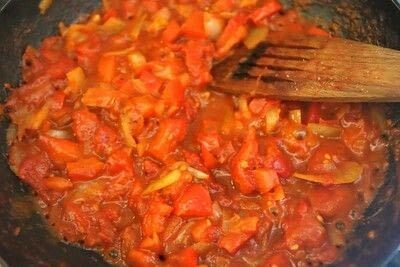 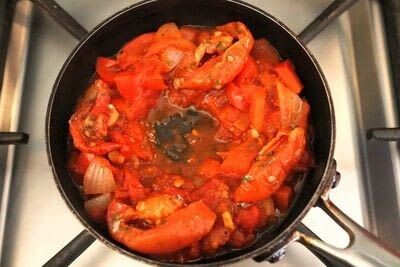 And then add the chopped tomatoes. 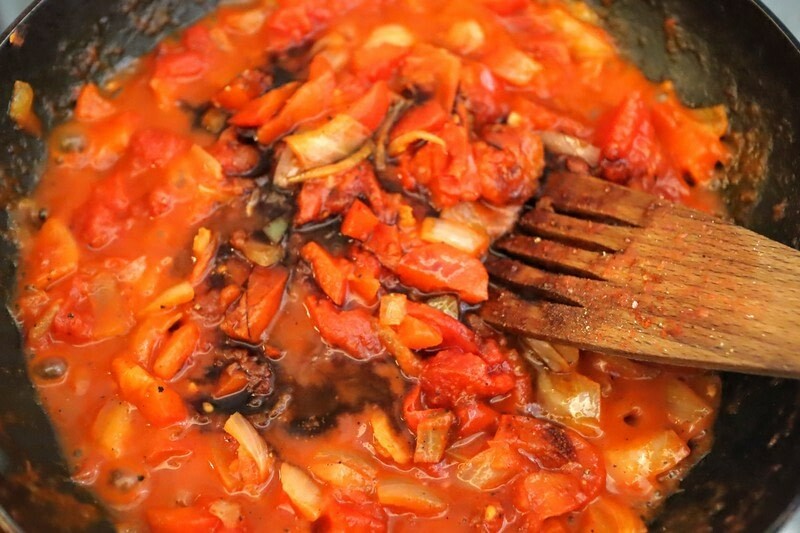 Sweeten with balsamic vinegar to your liking. 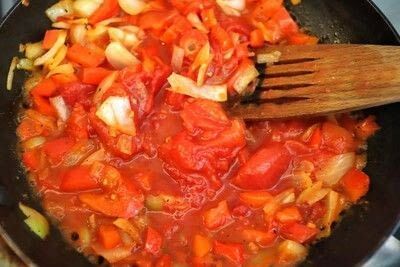 Cook until the sauce has reduced but is still a little runny and add the sundried tomatoes. 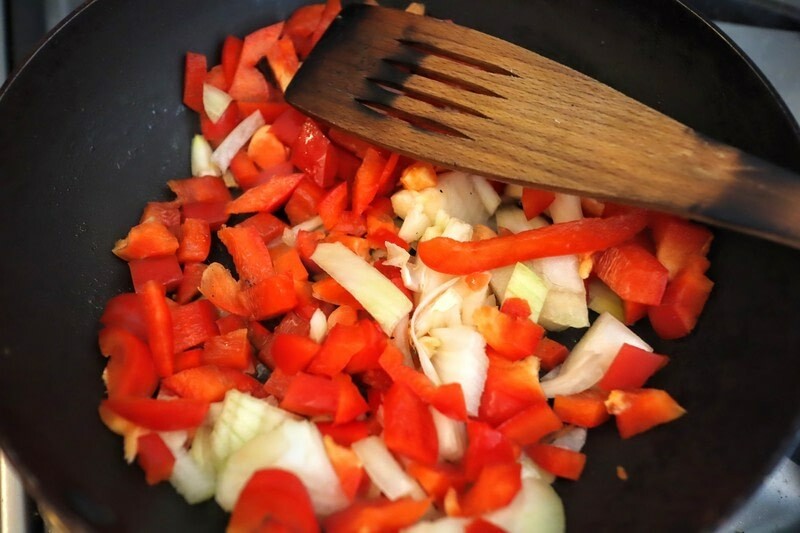 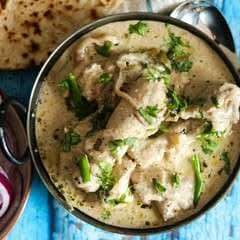 Divide the vegetables between two smaller frying pans or baking dishes, leaving a well in the middle. 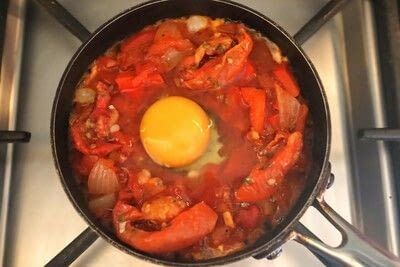 Crack an egg into the well and fry until the egg is cooked to your liking. Season with salt & pepper, top with feta and dried parsley and serve with some minty yogurt and bread.